Greeting all. Today (12.00am) sharp is the first quarter final match for Fifa World Cup 2014. 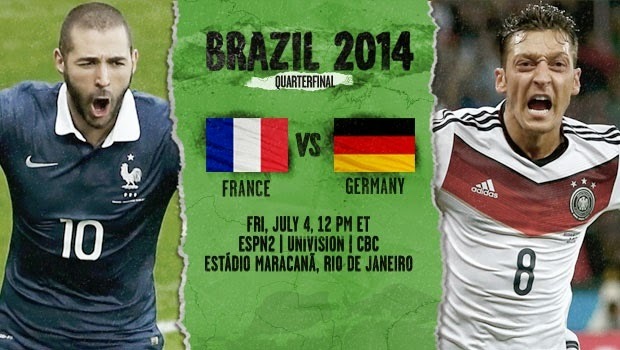 The first is France vs Germany. *Wooooooooooo* Even Though I like France but I'm still supporter of Germany. 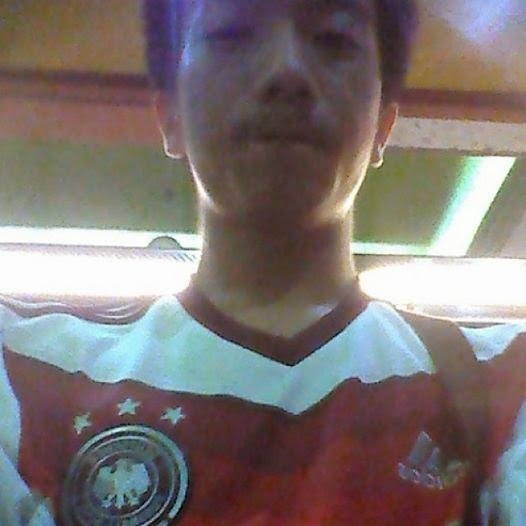 One of the reason is because I got Germany Jersey. 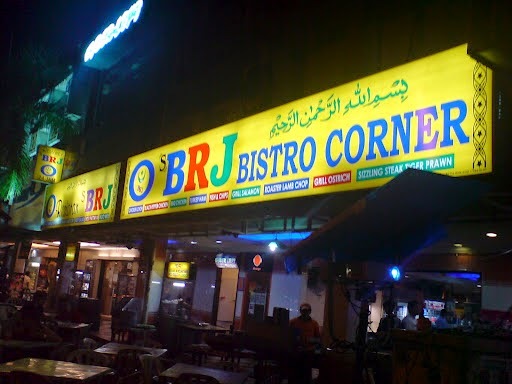 Since I staying Desa Setapak - Wangsa Maju, so the nearest place for me to watch Football match is only BRJ Restaurant. It only took within 5 minutes for me to walk there. Around 11.20pm, I reach there and it seem already full with audience. So I waited and waited and hope to get a place for me to watch the game *no standing*. Just after awhile, I saw a couple that just done paying money and going to left. I feel so happy. *Weeeeeee* Finally I got a place for me to enjoy the game. As usual, I will order Coca- Cola whenever I order any game/event. Before the game start, I just took a selfie using Sony Xperia ST23i. On the second free kick for the Germany - 13 minutes, Mats Hummels score a goal by heading. Everyone is shouting and celebrating the goal from the German player. 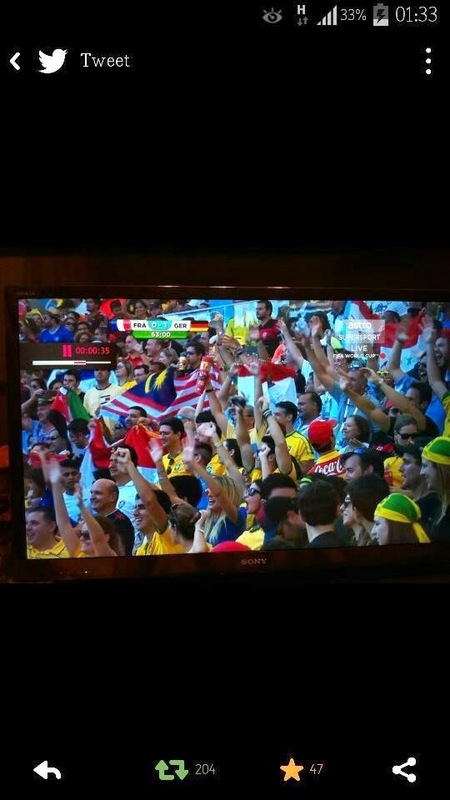 Somehow after the second half, we saw our nation flag (Malaysia) is raised up by supporter. Guess what, we all chaps, cheering and shouting when we saw our nation flag. I think this is because we do love our country. The match is ended with France 0 and Germany 1. France is did well of this game. On the addition time, French player, Benzema almost had a goal. The ball is just coincidentally hit the German Keeper hands. On the game there will a lot of opportunity that both side able to score goals. 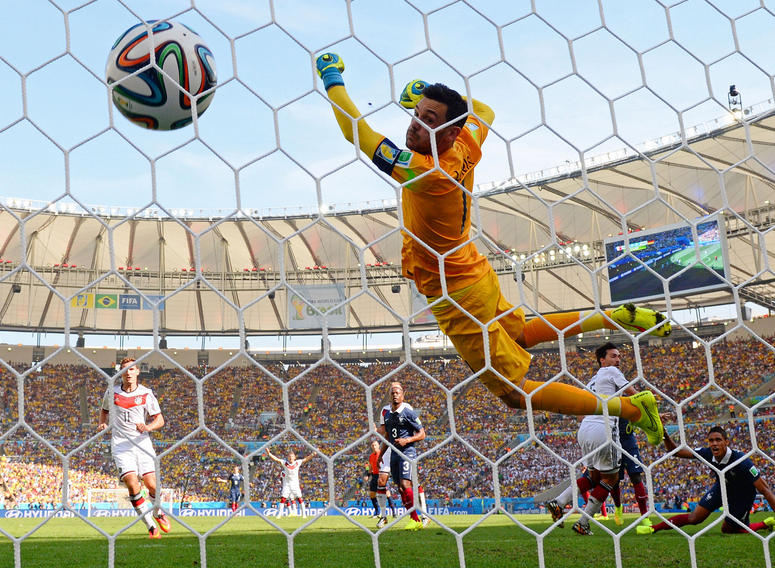 Here is my experience on the first quarter final match of Fifa World Cup 2014. Share with us about your experience if got^^.